A cost effective solution to storing breast milk and don't need or want the direct pump into bag option. Having a good reserve of breast milk ensures that your baby will not need alternative food. 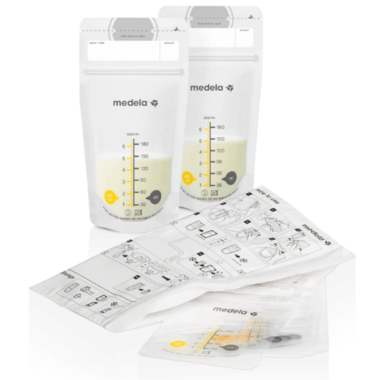 The practical, stand-up Medela milk storage bags make collecting, storing and freezing breast milk easy and hygienic.